London has a lot of great restaurants. For Frida and me, who are from a rural area in Sweden, living in the city gives us the opportunity to eat a Saturday brunch at a restaurant. After a ruff movie night (consisting of one and a half movie) we had made ourselves worthy of some Italian food. We went to an Italian restaurant here in Chiswick, called Caffe Piccolo. Why we chose this restaurant was mostly because of their great lunch deal, buy two courses for £7.5. 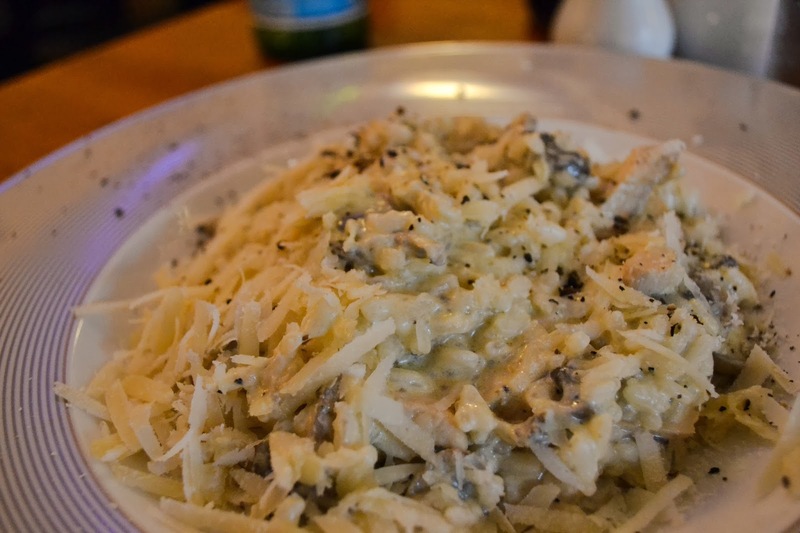 Chicken, mushroom and cheese risotto. 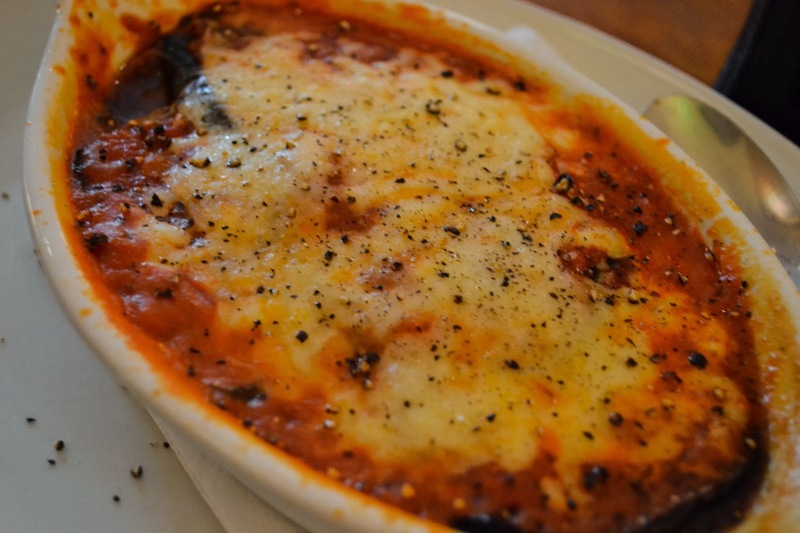 Gratin with mozzarella and aubergines. I started of with garlic bread as well and I have to agree with Amanda. A lot of oil and a crispy edge, just the perfect bread. My main course was a gratin of aubergine and mozzarella. Unfortunately the aubergines was not cooked enough and the whole thing was a bit blend even though the taste was okey. It was a nice atmosphere. The restaurant was decorated in a typical Italian stereotype way with matching music in the background. A bit too much of an Italian-restaurant-cliché but still cozy. The service was actually not that good since the waiter was a bit rude towards us. He did not pay very much attention and he made us feel a bit in the way. Our food came out pretty quick, that was a plus though.